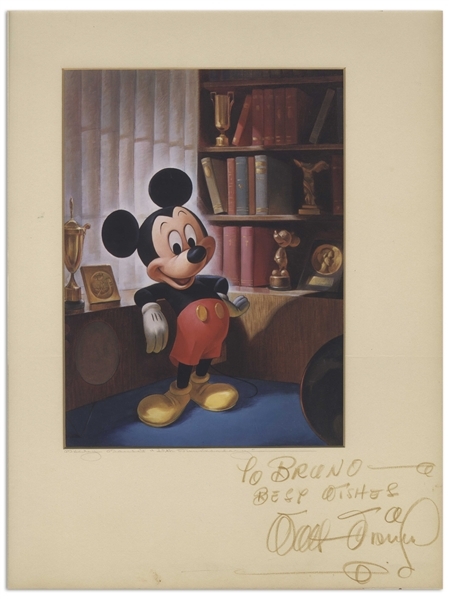 Walt Disney signed print of Mickey Mouse, created for Mickey's 25th anniversary in 1953. Disney's large signature is completed in crayon on the lower right portion of the mat housing the dye transfer print, and reads ''To Bruno - Best Wishes / Walt Disney''. Also on the mat just below the image is faintly written ''Mickey Mouse's '25th Anniversary'''. 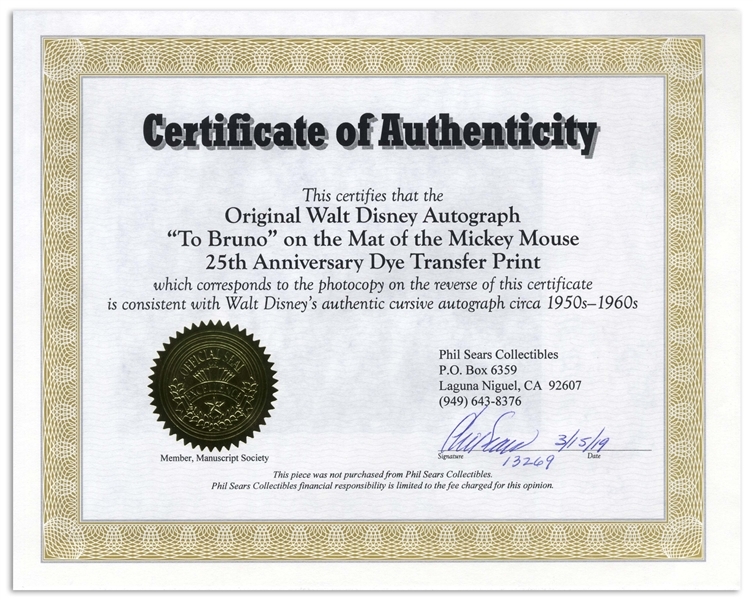 Mat with print measures 11.75'' x 15.5'', affixed to larger mat measuring 15'' x 27.5'' with a Disney commemorative cover. 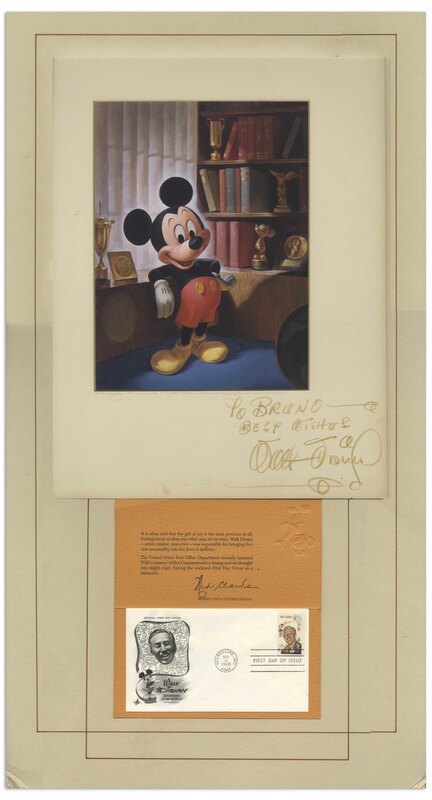 Lot also includes Walt Disney Productions label certifying the print is from ''Mickey's 25th Anniversary''. 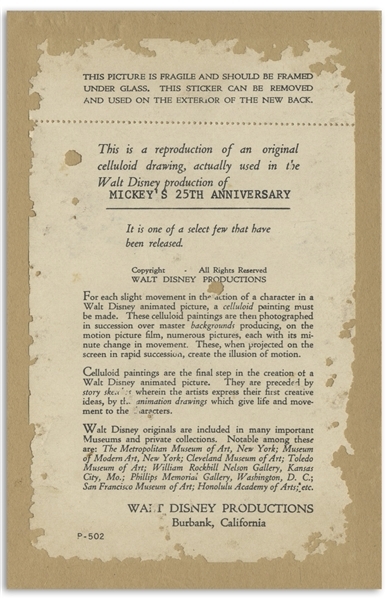 Light toning to mat and small spot of discoloration at bottom edge. Overall very good plus condition. With Phil Sears COA.